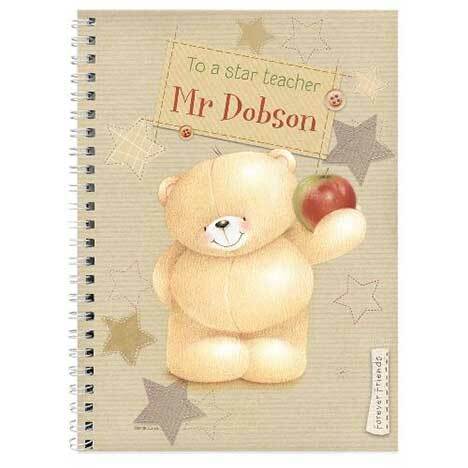 Spoil your teacher with this unique personalised Forever Friends diary! This thoughtful gift is both practical and stylish! All diaries contain 11 days per page, Diary Details page, Year Planner, a notes pages and a clear front cover and can start from any month. On the front personalise this with any calendar month, a message up to 20 characters and a name up to 18 characters.